Her manager, Alyson Halcrow added "Judith is a great addition to the team and I was chuffed to learn she was the 100th person ‘certified’ this year!!!" The Centre runs mediation training courses throughout the year, our next being in Glasgow in March 2015. If interested, contact us for further information. 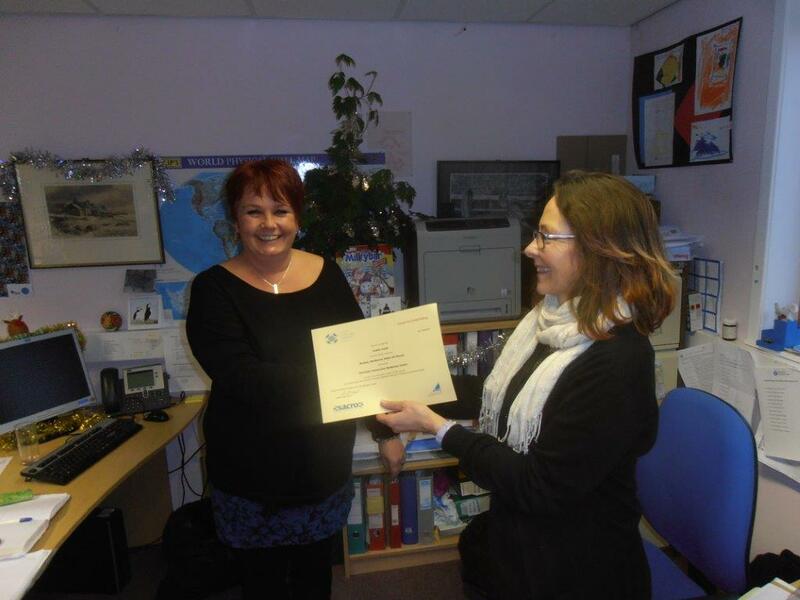 Certificate presented to Judith by her manager Alyson.